If you applied for and established an online personal loan, it would be an installment agreement with a fixed interest rate and fixed payments for the life of the loan. On the other hand, the interest rate on your revolving line of credit (e.g., credit card) can, and most likely will, vary over time. 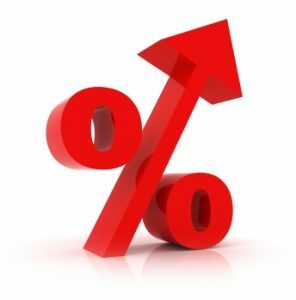 Since the Fed started tightening monetary policy last year (raising federal funds rates) and has accelerated tightening this year, interest rates are increasing. If you have money in a savings account, money market, or other variable interest-bearing account, this is good news. If you are using debt to finance things, it’s not-so-good news! The chart below demonstrates the impact of rising interest rates on your total cost of borrowing. While there is a sliver of America that abhors debt, most of us have embraced it and have incurred it for some reason – home, auto, home improvement, medical, or other large purchase. Paying over time for things, and keeping within your budget, is appealing to many and necessary for some. How you do this is important to minimize the overall cost associated with paying over time. Personal loans are the best way to budget your financial needs with a fixed payment and fixed interest rate over time. You can easily apply for your personal loan online and then, once approved, be certain of your payments and interest charges as you pay down the loan. If you’re thinking of applying for a loan, checkout SweetPay’s lending platform.